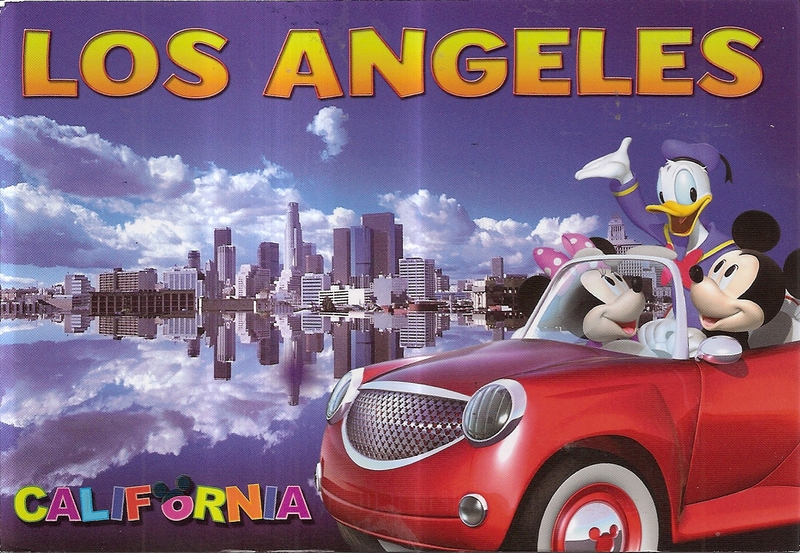 A postcard from California, USA, received through official postcrossing from June S.
It’s a Disney Card with Mickey, Minnie and Donald in a car showing Los Angeles skyline and it’s reflection. At the back, June affixed three flower stamps. 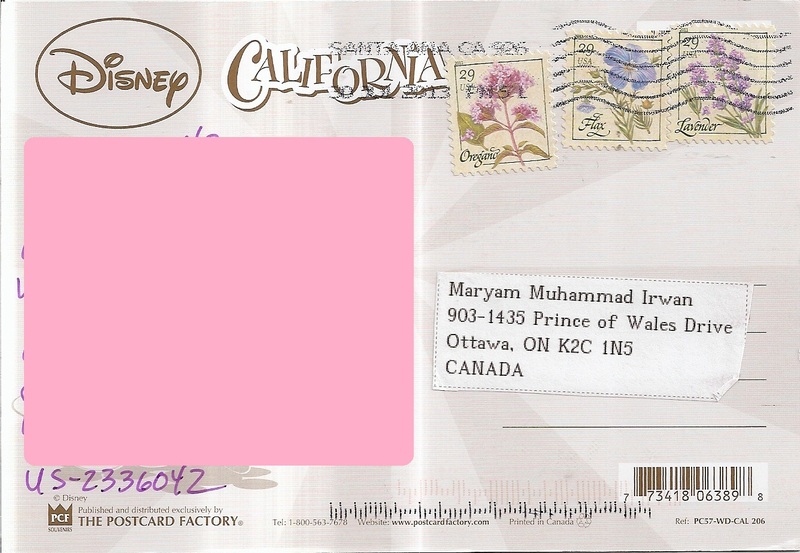 The postmark date is 30 July 2013 and the location is Santa Ana. 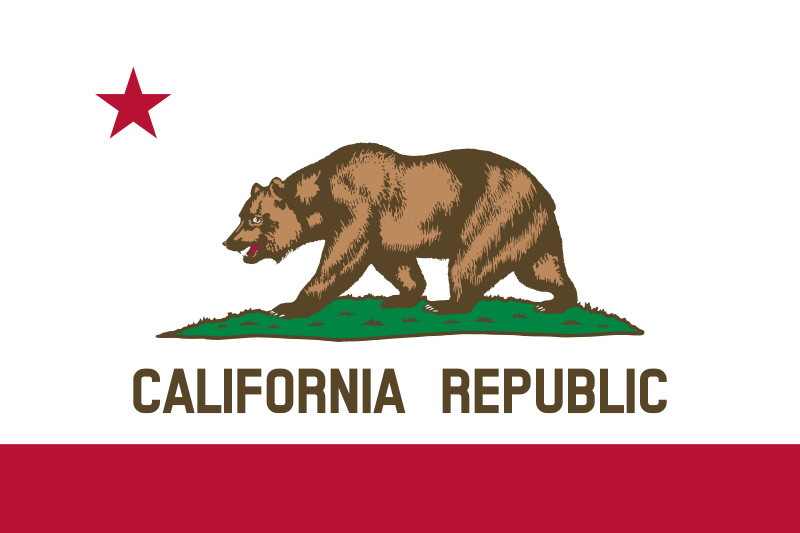 Thanks a lot June!